You may believe it or not but the pay per click ads have already captured majority of the properties found in the results pages of search engines. If you are in doubt about this, then spend a minute to do a search in Google for something that you wish to purchase over the weekend. You will notice that a lot of ads will come out that are related to your search query. Now take a second to think that if your ads are not showing up when your prospect customers are searching for them, then they are from your competitors. This is why we will be talking about how you can improve your Adwords campaign with the use of ad extensions. 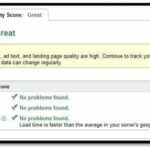 A couple of different techniques can be done in order to enhance the ads that you have and make them more attractive towards searchers. One of the first questions that you should be asking yourself is what type of ad extensions are going to work best for you. You will find that the answer to this question will be based on the vision of your campaigns and the kind of business that you operate. Below are the options and some applications that you can choose from. Call Extension – If your campaign’s goal is to collect leads and then you will be closing on these leads through phone, then you will need this extension. Location Extension – If your business if local and the address that it has is important, then this extension will help reinforce prospect clients that they are indeed the company they should be working with. Product Extension – For a PPC manager, this is one of the best tools that they can use when they are running an ecommerce website. This will allow you to put your products on the top list with their own photos. Sitelinks Extension – This is basically for anyone that owns a website. Any kind of campaign can be enhanced by using sitelinks to improve their ads. Mobile App Extension – For those who are promoting a mobile app, they can use this to get downloads directly from their PPC ads. Social Extension – Did your company go social recently? Then using social tools such as Google+ can give you added presence within communities. Whenever you include a call extension, you will be given a few different options that you can personalize. It is possible to use a Google voice tracking number so that the Adwords will provide you with in-depth detail reports on calls for a price. You can also choose to use your normal phone number for business purposes as well. This will also work well for campaigns that serves mobile devices, allowing you to establish advertisements that will connect right away with searches. 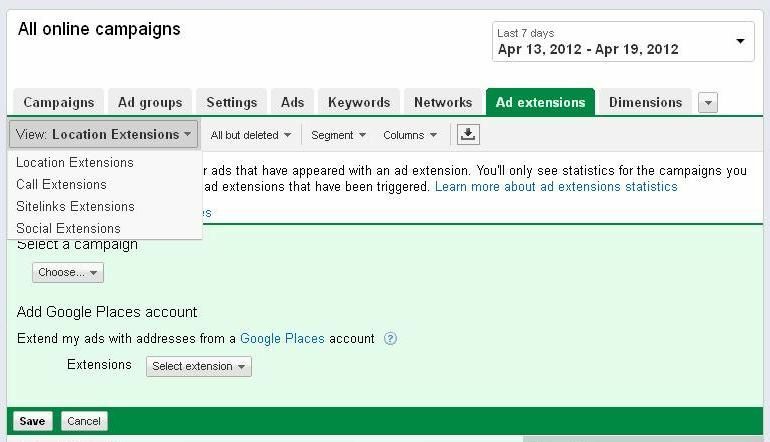 In order to include a location extension within your ad, you can gather the information that you have from your Google+ account’s local page or just input your address manually. Do you own an ecommerce website? Then you can link your ads with the Google Merchant Center and have full product listings with prices, brands and photos in the high speed Internet. All websites can benefit from this kind of extension for ads and this is the reason why every campaign should have it included. This is because the extension creates the same display effect in which organic web listings have whenever they are displaying sitelinks. It is possible to customize this and add up to 4 links where it can direct to other areas within the website. Building exposure on a new mobile application for your company can make this extension very useful. This is because the extension will help drive direct downloads and traffic towards the ad that you are promoting. Growing the people who are following you through social media can give you a lot of benefits and will also let your brand be more exposed. As you setup this extension and have it linked with your Google+ business page, you can then drive your followers there. This will provide you with the opportunity to engage and interact with your customers, share messages with them and even rack up more SEO points with that exposure with Google+.